Dawson College has partnered with the Beijing Normal University to host the Confucius Institute in Quebec. The Institute’s goals are to promote the learning of the Chinese language in Quebec and to improve Canada – China relations through a better understanding of Chinese culture and civilization. It will also provide valuable training opportunities for entrepreneurs wishing to do business in China. The Confucius Institute in Quebec is open to students and the general public. 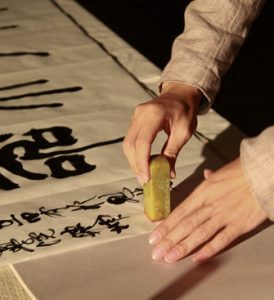 It offers courses in Chinese language, calligraphy, painting, medicine and Tai Chi. As well, the Confucius Institute has opened a resource center located at Dawson’s campus in downtown Montreal. In the months and years to come, the Institute’s offerings will grow to include a certificate for teaching Chinese as a second language, as well as a wide range of conferences, workshops, and cultural events. Confucius was a Chinese philosopher who lived from 551-479 BC. His teachings put great emphasis on study and learning.